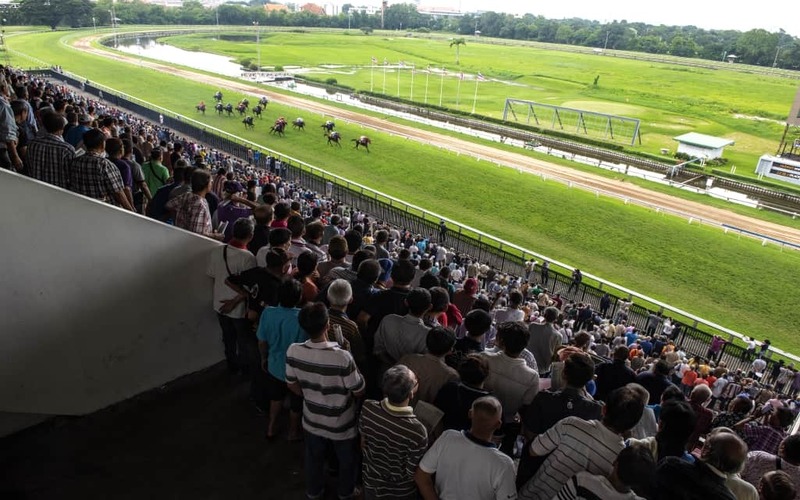 All around the world there are many horse race carnivals and individual races that pay out huge prize money for the winners and place getters. Some people might assume famous races like the Kentucky Derby in the USA is the richest horse race run annually. And what about Royal Ascot, or the yearly running of the race that stops a nation, the Melbourne Cup? There is also the illustrious Dubai Cup in the Middle East and the Japan Cup in Asia. Well, the fact is that none of the legendary races mentioned above offer the most prize money. That crown belongs to a very new race called “The Everest”. Many of the general public in Australia may not have even yet heard of The Everest race, let alone other parts of the world. No doubt horse racing enthusiasts and professional punters would have though. Billed as the “world’s richest race on turf”, the 2019 annual running of The Everest has a prize purse of $13 million! Now that’s a lot of cash for winning a horse race. No wonder trainers and owners are itching to get a chance to run their horses and score a piece of that juicy pie. The inaugural running of The Everest first took place in October, 2017 at Randwick Racecourse in Sydney, Australia. That year the prize pool was a cool $10 million and the race was won by Redzel, owned by a syndicate of 30 owners. Redzel beat the race favourite Vega Magic by nearly a length, much to the delight of the frenzied crowd. The race was run again in October, 2018 and was gearing up to be even bigger and better than its first running. Once again champion sprinter, Redzel, ridden by Kerrin McEvoy, proved to be too strong for the field, beating out Trapeze Artist and Osborne Bulls to take the post. On this occasion Redzel was the deserved race favourite and the horse didn’t disappoint. With the world’s richest horse race rapidly growing in popularity, could it soon become as popular, or (dare I say it), even more popular than the Melbourne Cup? That remains to be seen, but there’s a very good chance this horse race is going to give the popularity stakes one hell of a shake. How Does The Everest Horse Race Work? The Everest is a race that is able to pay out such huge prize money because of the way the race is structured. To enter a horse into the race costs a cool $600,000, so it’s truly a major gamble even on the part of the owners of the racehorses. It’s also a short print race of just 1200 blurred by speed metres, so the race is only suited to champion sprinters and certainly not for middle distance runners and stayers. There are only 12 slots available in this great race, so it’s not easy to gain entry when you consider all that’s involved. The interesting thing is you don’t actually have to be a racehorse owner to buy one of the 12 slots. From an entrepreneurial point of view, if you’ve got $600k laying about, you could buy a slot in The Everest and then sell it later for a profit, lease it to a racehorse owner, or strike up some sort of deal with horse owners. The race is a part of the Sydney Spring Carnival and is run on the second Saturday of October each year. It’s not yet eligible for Group race status, but that may change in the near future. It’s open to entrants from all over the world and is not just restricted to Australian racehorses. It’s likely to become as international as the Melbourne Cup has in recent times. This could see the entry fees increasing every year, but so too will the overall prize money, no doubt. It’s obvious the creators of The Everest are hoping the race will become one of the most famous and illustrious horse races on the global racing calendar. It’s only been run twice in its brief history so far, but already The Everest is being talked about in racing circles more than most other (long standing) races. The immediate future looks bright for the success of The Everest.